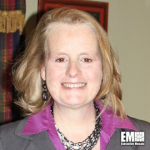 Patricia Steinbrech, former chief information officer and senior vice president of information technology and operations at ACT, has been named VP and director of a federally funded research and development center Mitre manages for the Centers for Medicare and Medicaid Services. She will oversee Mitre’s CMS Alliance to Modernize Healthcare FFRDC and the health missions of federal agencies the center supports, the nonprofit research company said Wednesday. Steinbrech previously held an 18-year career at Johnson & Johnson where her roles have included CIO and vice president of worldwide chemical production as well as worldwide VP of global pharmaceutical manufacturing. Her industry experience spans complex change management, systems engineering, data analytics and information technology areas across the healthcare, medical device and pharmaceutical sectors. CAMH is funded by the Department of Health and Human Services and one of the seven FFRDCs operated by Mitre.